Licences: Private Pilot Licence (PPL) and Commercial Pilot Licence (CPL), validations, hour-building and various ratings and conversions. Durban - Highly recommended - offers an exceptional pilot training combination - a friendly and highly trained instruction team, great accommodation only 5 minutes walk from the airport, lots to do and a 'never winter' climate. Check out the Durban photo gallery. Pretoria - Recommended - especially for those with an interest in wildlife. The pilot training school has a lot to do with game conservation. Weather is hot in summer and sunny and sometimes cool in winter. Johannesburg - quality instruction at relatively high altitude. 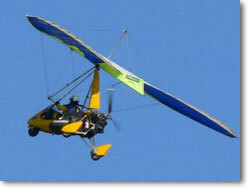 Good for students with a need for high-altitude take-off experience. Rugby balls travel further and higher in thinner air. Not so planes. Cape Town - quality pilot training but at present no accommodation near the flying school. Cold, wet winters and tends to be overcrowded during beautiful summers. The cost of pilot training in South Africa fluctuates to some extent. This is caused by changes in oil prices and international exchange rates. Pricing is in the local currency (ZAR Rands).